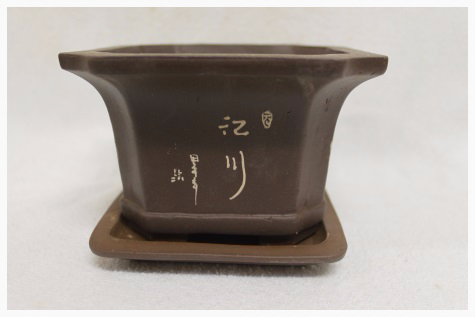 This bonsai pot has a square shape and a standard lip. 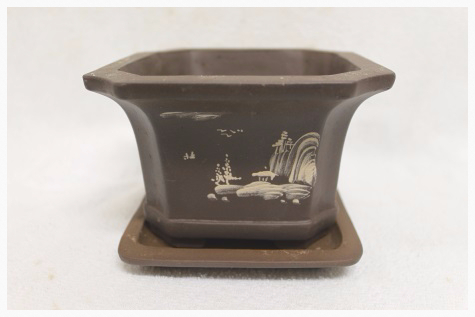 It has a brown unglazed finish with a motif on all four sides, one drainage hole, 4 wiring holes and comes complete with a matching saucer (drip tray). 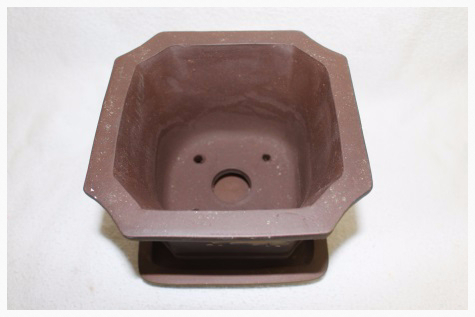 The remaining pot has a slightly uneven standing and for this reason it has been discounted. You will earn 11 points which is the equivalent of €1.10 when ordering this product.